Oceania’s youth futsal teams have learned their order of opponents this October after the Official Draw for the OFC Youth Futsal tournament was held at OFC Academy in Auckland last Wednesday. The competing nations were selected at random to fill the seven positions in the men’s competition and three positions in the women’s competition. The men’s round-robin competition will be played in eight rounds over four days with each team meeting once, while the women’s competition will be played in six rounds over three days with each team playing each other twice. In the men’s competition, New Zealand and Tonga were drawn in positions one and two, respectively, and will open the first day of action at 10am alongside Vanuatu and New Caledonia – drawn third and fourth – who will kick off at the same time. American Samoa were the fifth nation to be drawn and will meet sixth-position Solomon Islands in their opening match at 1pm. Samoa were drawn in seventh position and will have a bye in the first round. In the women’s competition, Tonga were the first nation to be drawn and will meet second-position New Zealand in the first round at 11:30am. In third position, Samoa will have a bye in the first round. The winners of the men’s and women’s tournaments – with the exception of New Caledonia who are not an Olympic nation – will qualify for the Buenos Aires 2018 Youth Olympic Games, where futsal will make its debut. The two qualifying teams cannot be from the same Member Association so where a country has entered both the men’s and women’s events, the Member Association must nominate their preferred qualification team. 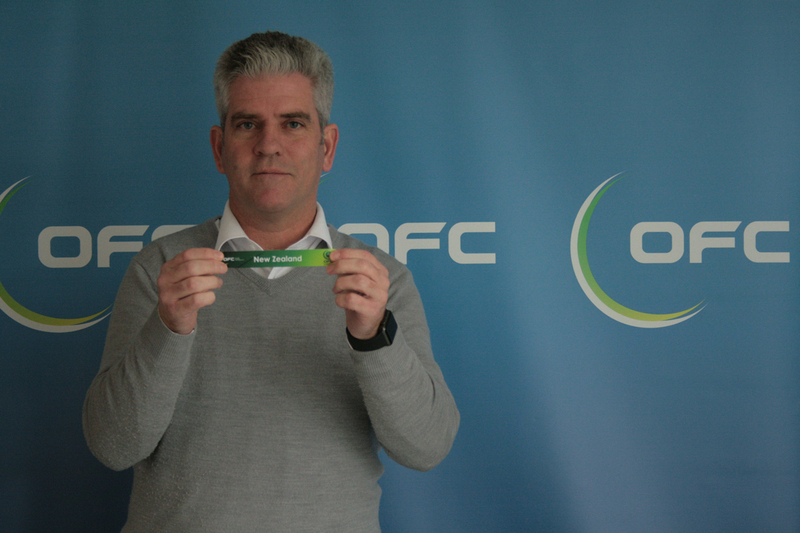 OFC Head of Competitions Chris Kemp is looking forward to breaking new ground with the inaugural competition and showcasing some of Oceania’s undiscovered youth futsal talent. “With men’s and women’s futsal gaining popularity throughout the region, we are excited to be offering exposure and international experience for players thriving in domestic competitions,” he said. The OFC Youth Futsal Championship will be held at Bruce Pulman Arena in Auckland, New Zealand from 4-7 October.